Sorcery of Scent: Vetiver Extraordinaire: Very extraordinary Vetiver. Vetiver Extraordinaire: Very extraordinary Vetiver. Frederic Malle's Editions de Parfums comprises 16 individual fragrances which can be attributed to the collective efforts of some of the world's most accomplished perfumers. The register of contributing creators reads like royalty... many of whom are responsible for some of the most successful perfume releases of all time. These ultra exclusive scents demonstrate the staggering technical proficiency and years of experience that each of these 'noses' has acquired in developing their craft. 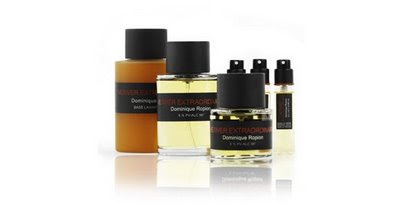 To my mind, Vetiver Extraordinaire, the work of Dominique Ropion, is the stand-out scent from this collection. Until my first exposure to Vetiver Extraordinaire I didn't care much for vetivers. I had never really found one that communicated the aromatic qualities that I had longed for: deep, semi-sweet, semi-green, earthy, woodiness. As a native perennial grass to India (but also cultivated in the tropics), I sought the kind of scent redolent of its homeland. And I believe Ropion has succeeded here. Vetiver Extraordinaire is a scent with exciting contrasts that flitter between bitter and semi-sweet, green and arid, earthy and ethereal. It is enhanced by light citruses and a very desirable sprinkling of spice: specifically nutmeg. The unusual blend however, almost conjures a ghost-like whisper of cumin that shifts beneath the surface. I find it an inspired creation: very wearable, earthy, and grounding. It is understated and refined, and mercifully, has remarkable persistence. Beautifully crafted, and a joy to wear. It would take either a genius or a madman to create a vetiver that is more accomplished than this. Perfume: Transcending the Gender Barrier. LPNo:9 - Penhaligon's - Top hats and tails.